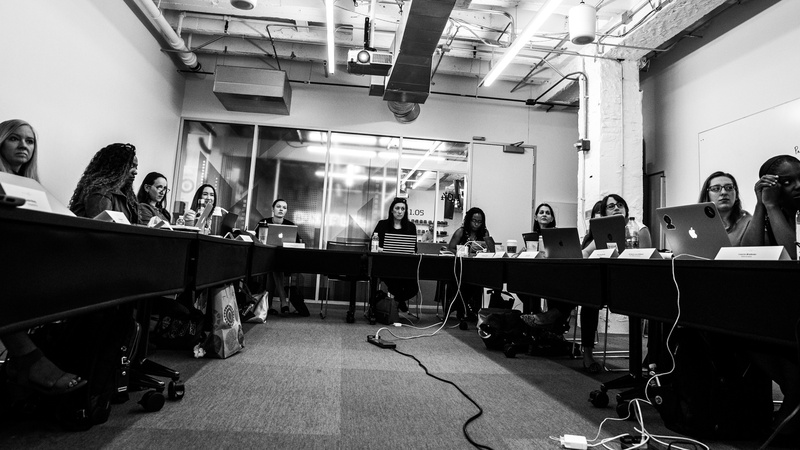 Meet the fifth cohort of WiSTEM: A diverse set of entrepreneurs from a variety of industries beginning the accelerator program at 1871 July 18. 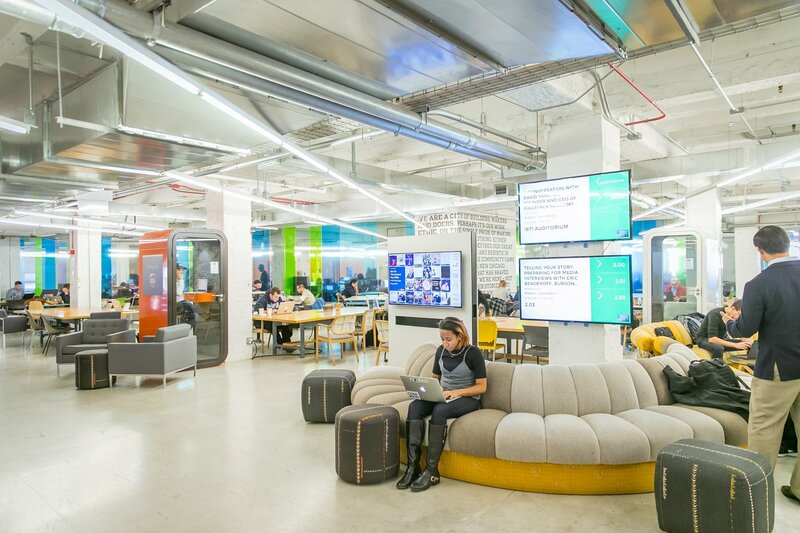 The 13 companies will be participating in mentorship, workshops and tailored curriculum at 1871 for 12 weeks leading up to a showcase event in the fall. 1871 announced Tuesday the 13 new companies that will comprise the fifth cohort of WiSTEM, a customized and prestigious program designed to accelerate women-owned businesses and cultivate opportunities for their founders. The 13 women-owned businesses will start the 12-week program beginning today, and will conclude having participated in rigorous programming, direct mentorship and events designed to introduce them to top companies and investors. 1871’s WiSTEM program has graduated more than 50 women-led businesses since its inception in Fall 2015, creating hundreds of jobs and generating millions in revenue to date. The current WiSTEM class is the second of 2017. This year, the WiSTEM program is expanding to three cohorts thanks to generous funding by JPMorgan Chase & Co., allowing 1871 to serve more than a dozen additional businesses and potentially up to 20 more female entrepreneurs. The WiSTEM curriculum is built upon three pillars: community, technology and access to capital. Each week the cohort gathers at 1871, which provides a space for the entrepreneurs to receive training, ask for assistance and celebrate their successes together. The curriculum focuses on all aspects of the startup process to prepare the founders as they begin to seek investment, gain customers and expand their companies. The program is also supported by Ms.Tech, the large network of women entrepreneurs built by Nicole Yeary, co-facilitator of the WiSTEM program. Members of WiSTEM benefit from “Ms. Tech Mastermind” programming that brings in inspiring and successful female leaders, as well as other resources provided by the organization. Each cohort concludes with a showcase event where the businesses pitch to a crowd filled with tech leaders, supporters and potential investors. Advocatia provides hospitals and healthcare providers with the tools to assist their most vulnerable community while improving the hospital bottom line. Advocatia streamlines the screening and enrollment process to ensure patients and their families are assisted with all available healthcare programs. Through the platform, workflow efficiency is gained, more coverage is found and revenue is increased. Advocatia helps the uninsured and underinsured population gain coverage and increases access to care. AirProxima is using technology to build a new way to travel. The company’s search engine product opens the world of private aviation to everyone by allowing consumers to buy single, one-way trips on private charter aircraft. No membership is required, and the platform is accessible to all. By removing repositioning trips from itineraries, the company is creating a world of private flights at lower price points than traditional charter. Burgundy Fox is an e-commerce subscription company on a mission to celebrate all bodies and minds. The company launched in 2017 with a focus on updating a $30 billion niche market in need of change: women’s lingerie and sleepwear. Burgundy Fox is not only modernizing the buying experience, but reshaping traditional fashion advertising and empowering women to cultivate strong mind and body confidence. CharacTour’s new social network aims to help users find their next favorite movie, TV show, book or video game amidst a flood of options on the internet. Instead of organizing choices around titles as other sites do, CharacTour is a platform focused on the characters at the heart of the stories. Through a patent-pending matching algorithm, personality quizzes and other features, CharacTour empowers its users to discover for themselves which characters they want to watch and read about, and allows them to connect with the real-life “characters” who share their personality and entertainment interests. Chicago Toy & Game Group (ChiTAG) celebrates play and innovation through consumer events and fairs, toy inspired fashion shows, inventor and innovation conferences, innovation awards, young inventor challenges and get-togethers around the world. These events and activations build community through play by providing opportunities for people of all ages to connect with one another. The group envisions a friendly, more creative and more tolerant world with people discovering they have more in common than not through the power of play. Evolved Educator empowers teachers, democratizes lesson planning and cuts planning time from hours to minutes. The web-based SmartPlanner technology brings teachers an innovative way to create, collaborate and cultivate learning experiences students will remember. Gorgeous Within is dedicated to inspiring women from all walks of life to become the best version of themselves. Gorgeous Within inspires them to work on their mind, spirit and body leveraging workshops and technology. The company challenges and empowers them to grow and pursue their dreams. LivingPath is an online platform helping people discover amazing senior living communities. Fifty million Americans will need long-term care over the next two decades, and LivingPath is the catalyst connecting them with high-quality providers. Packed with Purpose is a specialty gifting company with a social mission. The company curates high-quality gifts that also do good by sourcing products from social enterprises and purpose-driven companies. The business and personal gifts “wow” recipients and positively impact the people and communities around us. Project Decibel believes hearing is what connects people to the music they love. Project Decibel is a hearing wellness initiative that equips the music community with the tools they need to protect their hearing. The company has reimagined how a musician interacts with their hearing by designing "PdB;" a comprehensive, user-friendly concierge hearing wellness app. “PdB" ensures all musicians have access to high-quality audiological services whether they are on tour or in a practice room. Respirare is a smart healthcare system that empowers asthmatics to take control of their lives. A tracking device paired with an intelligent application allows users to track usage, dosage and triggers with ease. With the power of Respirare's data, patients, caretakers, doctors and researchers can work together to create a better quality of life for all asthma sufferers. The Difference Engine is a non-profit corporation with programs in Chicago, San Francisco and New York City. The goal of this organization is to transform people’s lives by empowering those who do not have the typical background for entering tech to launch new careers in that field via a web development apprenticeship program. It also provides professional technical solutions to nonprofit organizations and social enterprises pro bono to help carry out their purpose. Wedmony is digitally transforming Millennial weddings by making the wedding planning process less stressful, more organized and more fun. Wedmony is creating a social network of like-minded couples connected with vetted vendors and supported by a powerful suite of dynamic, customizable planning tools. Wedmony fosters collaboration between couples, wedding parties and vendors to create the perfect platform for sharing their most special moments. 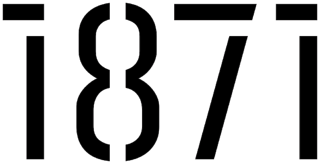 Read the 1871 Blog for news about the Chicago technology and entrepreneurship community, as well as helpful tips, guides, and insights into the startup and investment world.